Paramount Pictures has announced that the fifth entry of Michael Bay‘s Transformers will be titled The Last Knight. Starting in June, the production for Transformers 5 will begin in Detroit, and continue around the world. 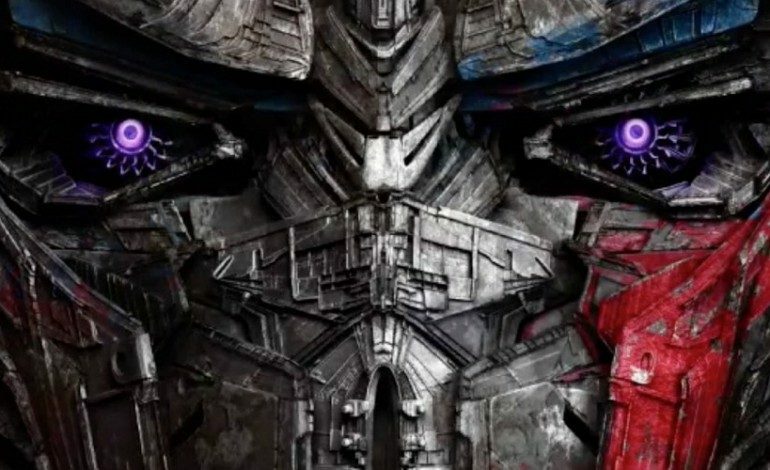 The cast is set to include actors from the previous film in the franchise, Transformers Age of Extinction, with Mark Wahlberg starring once again and Peter Cullen returning to voice Optimus Prime. It was just announced that Josh Duhmel, who appeared as Lt. Cl. Lennox in the first three Transformers entries will be returning to the franchise. Also joining the cast is Stephen Merchant (I Give it a Year), Isabela Moner (Growing Up Fisher), and comedian Jerrod Carmichael (Neighbors), with Oscar winner Jean Dujardin (The Artist) also in talks to make an appearance. Michael Bay will be returning to direct the film to his level of ‘Bayhem,’ alongside his team of writers. Little is known about the film, but there is currently an eerie teaser (below). Although it may be a reference to Optimus Prime, the “Last Knight” name feels ironic, since Paramount has scheduled four more sequels including a Bumblebee standalone movie.